Ah, the New Year’s Resolution. For many an annual tradition, goals can range from improving health to knocking items off a bucket list. The idea of making resolutions at the beginning of the year is popular around the world, with its roots in ancient Babylon. Although international statistics were not available, domestically, about half of the U.S. population participates in this annual goal setting. As a concept, the phenomenon inspires a sense of inspiration and hope. However, this is dampened somewhat when you realize how many resolutions are unsuccessful. Though resolutioners tend to feel very determined in first weeks of January, this can often fade quickly. In fact, a full 80% of New Year’s resolutions fail by mid-February. While this statistic may strike us as disappointing, it’s actually good news for us as marketers…(unless you just bought a Bowflex). 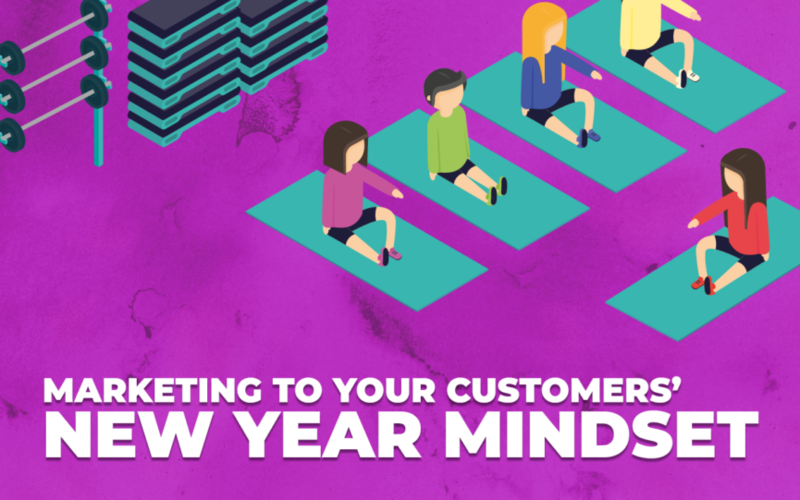 If marketing is all about appealing to desire, New Year’s resolutions are an annual jackpot. In the time after New Years, many people want to create a positive change for themselves. This gives marketers the opportunity to help people stick to their goals while increasing conversions. Virtually any product can be promoted using resolution marketing. Often, it’s simply a matter of finding how a brand fits into the larger scheme of life improvement. For many brands, this is as easy as re-framing their value proposition. If you sell health related products, whether it’s vitamins, treadmills, or anything in between you’ve already got a leg up on the competition. Health-improvement goals are the most common resolutions in the U.S. That being said, there are many popular resolutions unrelated to health. For brands specializing in apparel, consider playing off the “New Year, New You” mantra. If you sell technology, you can encourage customers to have a more productive year. If you sell something on the more indulgent side, frame the product as a luxury that they deserve this new year. Now comes the burning question: “How can I know what my customers’ resolutions are?” The beauty of resolution marketing is that you don’t have to know a consumer’s exact goals. Although resolutions may seem very specific, they stem from a common place – the desire to improve quality of life. By encouraging your customers to improve their lives with your products, you can tap into the resolution mindset. Email remarketing is an extremely effective way to disseminate resolution messaging. Start by choosing the proper timing. Late January and early February are the most common times for giving up a resolution. Thus, contacting people during that window is most likely to convince them not to give up. So what should the messaging look like? That’s up to your individual brand and tone. If you need inspiration, here is an example that should give you a good place to start. Although they are difficult to keep up with, resolutions have the power to change lives. The goal of self-betterment is something many people take seriously, especially during this time of year. The key to resolution marketing is genuinely wanting to help people better themselves and having conviction that your products or services can play a part in that. Such a relationship increases consumer trust, brand loyalty, and yes, conversions.